1. How do I download my freebie? When you signed up to receive a download from A Little R & R, you received a welcome email with a link to a page the printable you signed up for. 2. You do not need to have an account with Dropbox to access your free download. 3. At the top right hand side of your screen, next to the blue “sign in” button, you see an option to download. 4. At the bottom of your screen, you have a bar and the far right icon is a printer icon where you can print directly from this link. 2. I put my email in, but I didn’t get my freebie. I am so sorry that you didn’t get your freebie as promised. There are a couple of things you can try. First, take a look in your spam folder. Often times emails land in the spam folder, and you can keep this from happening in the future by adding my email rosilind@rosilindjukic.com to your address book. If the email isn’t in your spam folder and you have gmail, check your promotions tab. If you still cannot locate the email, send me a message at the email address above and I will send it to you directly. 3. Do I have to open a Dropbox account to download the freebie? No. Dropbox is just the cloud I use to store the freebies I offer. You can download the file directly to your hard drive without having a Dropbox account. However, I do recommend Dropbox as a excellent resource for saving your files in a cloud. You can try Dropbox for free up to 500 MB here. How can I save the freebie on my hard drive? When you open the freebie, at the right hand side of your screen, you’ll find a button to download to your hard drive. Simply click that button and choose where on your hard drive you’d like to save the freebie. 4. How do I print the freebie? When you open the freebie, simply move your cursor over the freebie. In the bottom portion of your screen a black rectangle will appear. The far right icon is a print icon. Simply click on that icon and a dialogue box will open and direct you through the process of printing your freebie. 5. Can I share these freebies with my friends? 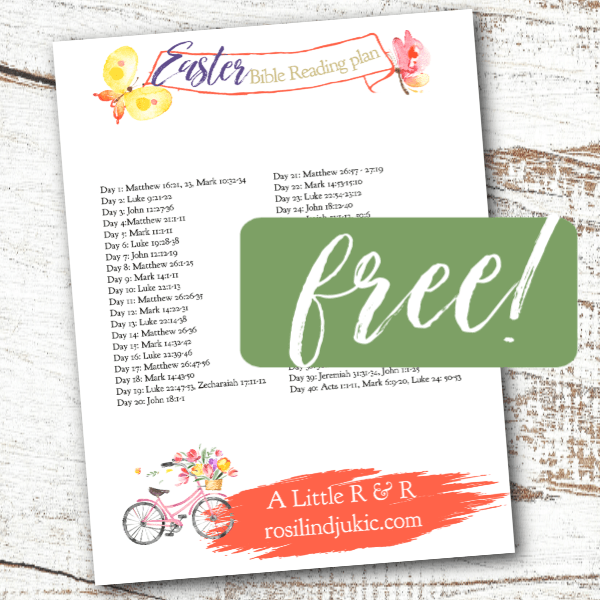 If you would like to use a freebie for a Sunday School class, a woman’s retreat, or in a Bible study setting, please email me a rosilind@rosilindjukic.com for more details on how you can do that. 6. Can I download more of your freebies? Absolutely! Simply type your email in the sign up box for every freebie you wish to receive and you will receive that freebie in your inbox. 7. I can’t open the freebie on my phone. Most cell phones don’t have the capability of opening up PDF files. Save the email and open it later on your desk top or lap top. 8. What if I don’t want to have my information on your site? 9. Why cannot I purchase your products if I live outside the United States? Because of the complex, international VAT tax laws, I have chosen to limit sales to my products to The United States only. If you would like more information about this, please contact me at rosilind@rosilindjukic.com. 10. What is your statement of faith? This is such an important question and one that I am always happy to hear asked. It is important that those we are gleaning information from have solid theological beliefs founded on God’s Word. Here is my statement of belief.